There are many benefits in the use of natural gas transport, even if the natural gas source is fossil fuel based. That’s because of the low-carbon emissions of this fuel and the clean burning characteristics of methane (natural gas). Currently, taxation on this form of fuel is very low, which for the moment is another big incentive to use Natural Gas as a transport fuel. It is even better if the source of the natural gas is a biogas plant, with the result that the energy is sustainable, because it is renewable. More about that later in this article! However, before the use of Natural Gas in transportation, known as CNG (Compressed Natural Gas)(and carried in cylinders in vehicles), to be capable of becoming popular in the mass market one very big advance is needed. It will be necessary for a comprehensive network of filling stations to be established before we can all use natural gas transport. At first glance it might be expected that scarcity of refueling locations would prevent natural gas transport being adopted, at all. But, that is clearly not what is happening. In many nations there is now real progress in establishing such fueling stops. But, while this happens, of more interest to our readers is the growth in the use of biogas upgrading equipment. Improvements in upgrading technology is enabling the use of CNG to move up one whole level on sustainability. 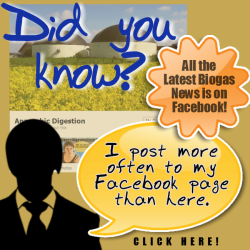 The “step-up” is by being produced from biogas which itself is made from waste feedstocks. This fuel (known as RNG – again when compressed in cylinders ) is as sustainable as it is possible to get, and is truly “green” when distributed for use as fuel for natural gas transport use. We have found a number of recent articles which show the high level of development activity in RNG. There is at least one application for RNG for transport fuel use, which is not hampered by the lack of a national filling station network. 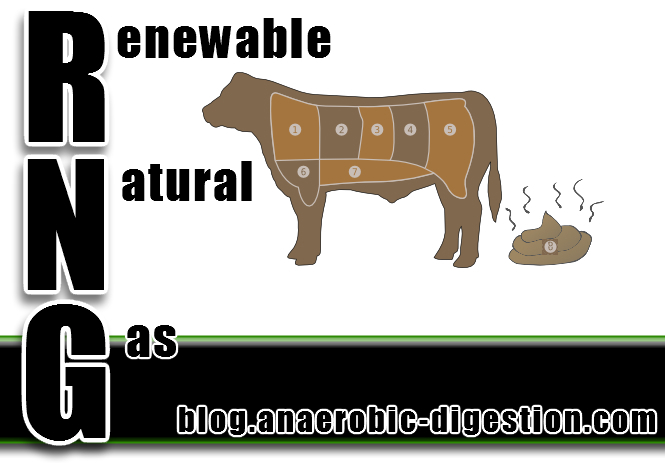 We refer to RNG from biogas in which companies operate is its use on farms where the biogas is produced, and on nearby farms, or where fleets of vehicles run out to make deliveries from farms and other biogas plant sites. Here they are starting to use natural gas transport in a big way. Agrowill Group, the largest organic farming and investment group of companies in Lithuania and one of the biggest organic farming entities in Europe, is adopting natural gas transport . It aims to attract EUR 20 million investment into scientific research and innovations. Implementing its new vision of sustainable business the company aims to become not only the biggest but also the most innovative organic farm in Europe. Implementing natural gas transport, using renewable natural gas (RNG) fuel for vehicles is high on its agenda. “During the next two years we are determined to implement innovative sustainable farming model to completely change the current perception about organic farming. We think that the future of organic farming is more than avoiding the use of chemicals. Our vision is organic food products produced in most sustainable way and affordable to wider group of consumers. We will create it employing effective modern technologies, and aim for sustainability by moving from the use of fossil fuels to biogas,” stated Kstutis Jušius, the chairman of the board of Agrowill Group. Agrowill seeks to attract investment for scientific research and innovations: development of new generation diary and poultry farms, building a new line of combined feedstuffs and development of production of organic seeds. EUR 17 million will be invested into these branches. Another EUR 3 million is intended to invest into biogas application for tractor fuel and other natural gas transport projects. 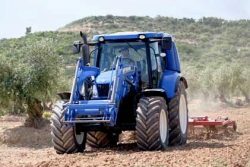 Bodegas Torres, a historical wine growing company located in Pacs del Penedes, Spain has conducted the first trial in Spain of a second-generation New Holland T6 methane tractor under a collaboration agreement with the Italian manufacturer, part of CNH Industrial. New Holland first unveiled the prototype T6.140 Methane Power tractor at Agritechnica 2015 as part of its sustainability approach to ‘Energy Independent Farming’, a goal shared by Bodegas Torres. The winemaker is performing tests throughout the month of May on the Bodegas farm in L’Aranyó, in the heart of Les Garrigues, in the province of Lleida, where it has an area of 175 hectares of vineyards and 80 ha of olive trees. The test tractor is a standard design with 6-cylinder engine and 175 hp, which uses natural gas gas or biomethane (RNG) to run, stored in nine cylinders. It has a total capacity of 300 litres of compressed methane, equivalent to about 60 litres of diesel, which gives the tractor a range of approximately half a day in normal activities. The tractor has three catalysts and thus meets the Tier 4B emissions regulations, without resorting to additional after-treatment systems. 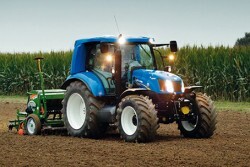 The test tractor emits 80% fewer emissions than a standard diesel tractor – and may represent a fuel saving of 20 to 40%. CO2 emissions can be further reduced with the use of biomethane, which the farmers could produce themselves in the same building where the tractor is provided. The generation of alternative energy sources is fundamental to New Holland’s concept of energy independent farming, developed experimentally at La Bellotta, Turin where trials have been carried out on a sustainable farm. Ramon Maya, Director of Marketing New Holland for Spain and Portugal explained to Bodegas Torres that using methane as a fuel for working in the vineyard would be a way to close the production process circle and reduce CO2 emissions, the main concern of the winery being to minimize the effects of climate change. “You could exploit agricultural residues and derivatives from our own making of wine or brandy to generate biogas using anaerobic digestion. Thus, not only would we cease to emit gases into the atmosphere but that fuel would be used for work in the vineyard,” says Xavier Sort, production manager of Bodegas Torres. South San Francisco Scavenger Co., Inc. (Scavenger) is, in a curious way, aptly named. 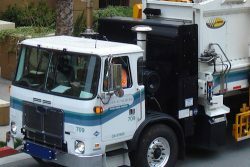 From the waste collected from San Francisco Bay Area’s municipalities including facilities at San Francisco International Airport, it has employed anaerobic digestion to capture and process biogas and use it as fuel for fleet operations. It is a highly effective closed loop system made possible with the cooperation of nation-wide natural gas station operator, Clean Energy Fuels. Recycling Today reports each vehicle collects enough organic waste during just one route to fuel it for an entire day, creating a true closed-loop system and the first project of its kind in the United States. Based on current projections of the amount of fuel the dry-AD Facility produces for its CNG fleet, SSF Scavengers plans to achieve a 43 percent reduction in emissions from its entire fleet of vehicles. This makes Scavenger one of the few carbon negative fleets in the U.S. with a drastically small carbon footprint compared to its competitors. Scavenger has gained tremendous community support and a competitive advantage thanks to its commitment to fueling a cleaner, compressed natural gas (CNG)-fueled fleet for renewable natural gas transport. 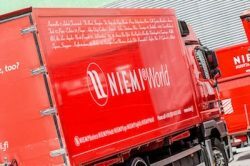 Finland’s leading logistics and moving service provider, Niemi Services, is renewing its fleet and ordering 15 gas-fueled moving vehicles. The gas vehicles will be in three size categories from cars used for minor installation jobs to large 18-tonne moving trucks. Using 100% Finnish Gasum biomethane (renewable natural gas), the company will become the first in Finland to offer clean and ecological biogas moves that are environmentally sound. “As the market leader we wish to act as a forerunner and lead the way for other enterprises in our sector. We monitor the key environmental impacts of our work and develop our operations in accordance with the principle of continuous improvement to minimize any environmental burden caused by us. We’re now able to offer our customers ecological and cleaner moves as the first company in Finland. We’re also planning to increase the number of gas-fueled vehicles in the future as the distribution networks expand,” says Niemi Director Juha Niemi. “We’re very happy to be able to enter into biogas cooperation with Niemi Services. Today’s consumers are increasingly aware about sustainability. The company will contribute toward reductions in carbon dioxide and local emissions by securing cleaner air for people to breathe,” says Gasum CEO Johanna Lamminen. The Finnish biofuel that is always produced from fully renewable raw materials. Gasum processes waste and produces biogas at seven biogas plants located in Turku, Vehmaa, Honkajoki, Huittinen, Kuopio, Oulu and, from late 2016, also in Riihimäki. The biogas plant under construction in Riihimäki was listed as one of the Finnish Government’s key projects in February 2016. Gasum also produces biogas with its partners in Espoo, Kouvola and Lahti. In the future Gasum will produce an annual total of more than 300 GWh of 100% Finnish biogas and process a total of 425,000 tonnes of biodegradable waste a year. Hi! This is not new in Sweden. You guys should go over there. They’ve been using biogas to power their buses for possibly more than 10 years, possibly even trains as well.